Vivaldi St. Lucia constantly checks and updates the information on this website. Nevertheless, some information may have changed in the meantime despite all care. Therefore, we cannot guarantee nor accept liability for the relevance, correctness and completeness of the information provided. We reserve the right to change or update information on this website at any time and without prior notice. 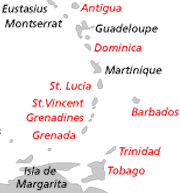 The Vivaldi St. Lucia Internet site contains links to other Internet sites. Vivaldi St. Lucia is not responsible for the contents of these pages. All texts, images, logos, graphics and other contents of this website and their layout are protected by copyright and other protection laws. The contents named may not be reproduced, changed or used in any electronic or printed publications without the prior consent of M Kommunikation Germany.